UP TO 90 STALLS AVAILABLE NOW AND DURING THE SEASON!! Spectacular 24 stall barn on 10 acres, (12 x 12) matted stalls 2 tack rooms, 2 feed rooms, 12 paddocks, 1 jumping arena (222 x 145) and 1 lettered dressage arena (200 x 69), 2 nice 2/1 apartments for trainers plus a grooms quarter. Fly spray system available, washer/dryer. Plenty of trails to hack around. We are located at the end of S Shore, 3 minute drive to WEF showgrounds. Available now and during season. True working farm with 30 stalls on 5 acres, irrigated sand ring (212 x 103), 2 tack rooms, feed room, round pen, turnouts, barbecue area and apartments, from a studio or grooms quarter to a 3 bedrooms apartment. Fly spray system available, washer/dryer. We are located at the end of S Shore blvd, 3 minute drive to WEF showgrounds. Available now and during season. Nice 5 acres equestrian facility with an 11 stall barn located at the end of S Shore blvd. 1 1 bedroom apartment for trainers and 1 grooms quarter, 1 irrigated jumping arena (183 x 110), 1 grass field and 5 paddocks. Fly system available, washer/dryer. 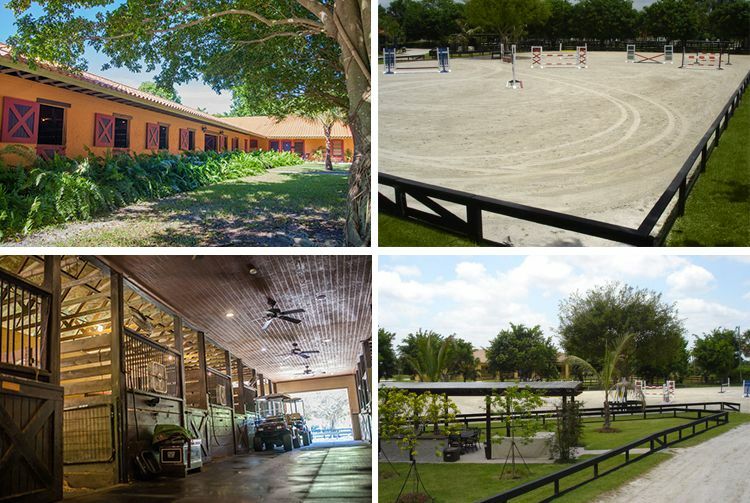 You can either rent dry stalls, full boarding or a private barn with the exclusive use of a sand ring and turnouts. Available now and during the season. 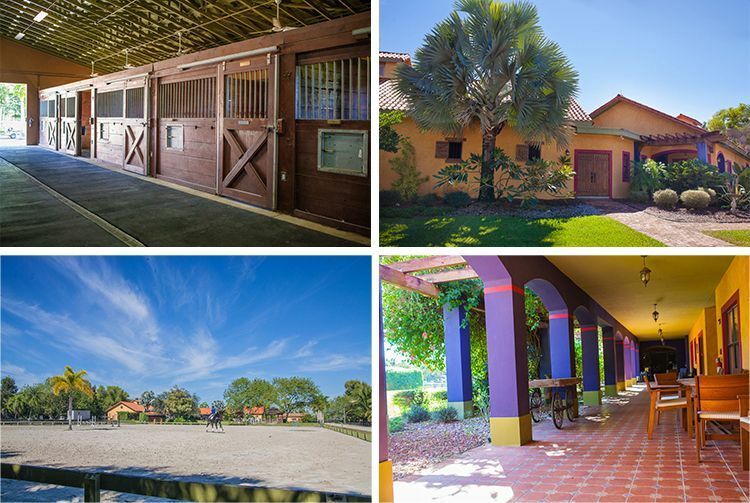 Beautiful 9 stall barn, located in a quite area at the end of S Shore blvd, minutes from the WEF showgrounds. Irrigated jumping arena (180 x 101), 5 paddocks, 2 apartments and 1 grooms quarters. 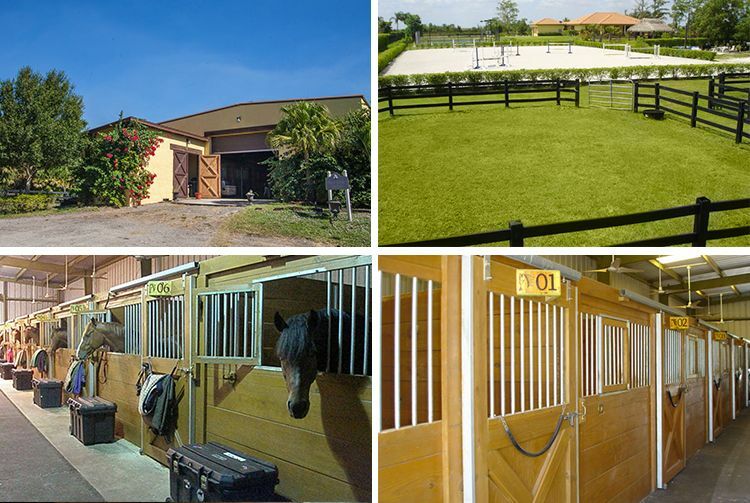 You can either rent dry stalls, full boarding or a private barn with the exclusive use of a sand ring and turnouts. Fly spray system available, washer/dryer. Stalls available now and during the season. PLEASE CALL (561) 543-5711 FOR PRICING AND MORE DETAILS.